Deadline reports that Fox Network announced premiere dates for two of its new mid-season shows. LA to Vegas will take off on Tuesday, January 2 in the 9PM time slot while The Resident will begin seeing patients following the NFC Championship Game on Sunday January 21 at 10PM. Its permanent home will move to Monday nights at 9PM. The airline comedy brings a who’s who list of executive producers including Will Ferrell, Adam McKay, Chris Henchy, Owen Burke, Josh Bycel, Jonathan Fener, director Steve Levitan, and creator/showrunner Lon Zimmet. The on-screen aircrew of LA to Vegas will feature Kim Matula (The Bold and the Beautiful), Ed Weeks (The Mindy Project), Nathan Lee Graham, Olivia Macklin, Peter Stormare (Longmire) and Dylan McDermott (AHS). Passengers and crew make the show title trek on a weekly basis in an attempt to win in Sin City. The honest and frightening reality of hospital life is portrayed in The Resident. 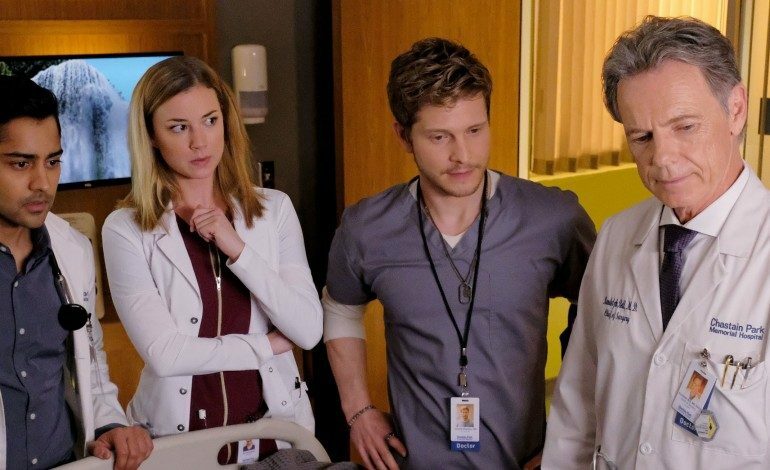 Following star Matt Czurchry’s (The Good Wife) novice doctor, the series will also feature Emily VanCamp (Revenge), Manish Dayal, Moran Atias, Merrin Dungey, Melina Kanakaredes (CSI: NY) and Bruce Greenwood. As reported last week, Fox had previously announced a premiere date of January 3 for the long-awaited X-Files return and new series 9-1-1. Rounding out the midseason lineup are returning favorite The Mick (January 2) and new show The Four: Battle for Stardom (January 4), another singing competition gig. The judging lineup includes Sean “Diddy” Combs, DJ Khaled, Meghan Trainor and record executive Charlie Walk.